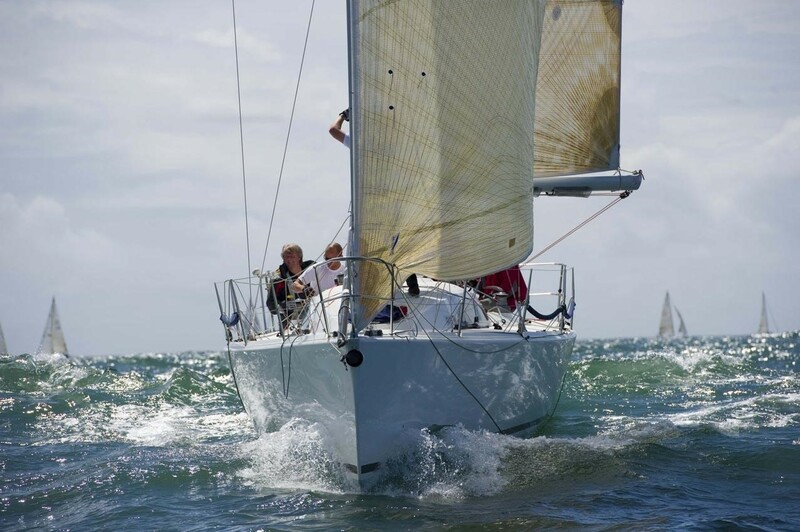 Volvo Cork Week is the biennial sailing regatta based around Crosshaven and Cork harbour, this year it runs from Sunday 15th to Saturday 21st July. Over the 40 years of its history, Cork Week has cemented its reputation as a world class sailing experience, flavoured with the key ingredients of friendly competition, varied sailing and excellent entertainment. In partnership with Johnson & Perrott, Volvo Cork Week has seen a surge in entries for this years event as 110 boats and crews from all over Ireland, the UK and from as far away as Dubai, Australia, Hong Kong, USA have already signed up. With 28 clubs represented, it makes 2018 one of the most successful regattas to take place in Crosshaven. Gavin Deane, General Manager of The Royal Cork Yacht Club, recognises the importance of the local economy saying “it is worth up to 2 million euro to the locality”. Competitors can enjoy a packed line-up of events and nightly entertainment on-site. There are fun packed family events such as treasure hunts, face painting and kids games on Sunday 15th and Saturday 21st July. On shore, there is live music, DJ’s, ladies fashion shows and gala dinners throughout the week combining with the excitement of the races fusing together to make Volvo Cork Week an unforgettable event for all. Submit an entry or book tickets online through the Volvo Cork Week Website or call direct Main Office 0214831023 / Event Office 021 4831179.